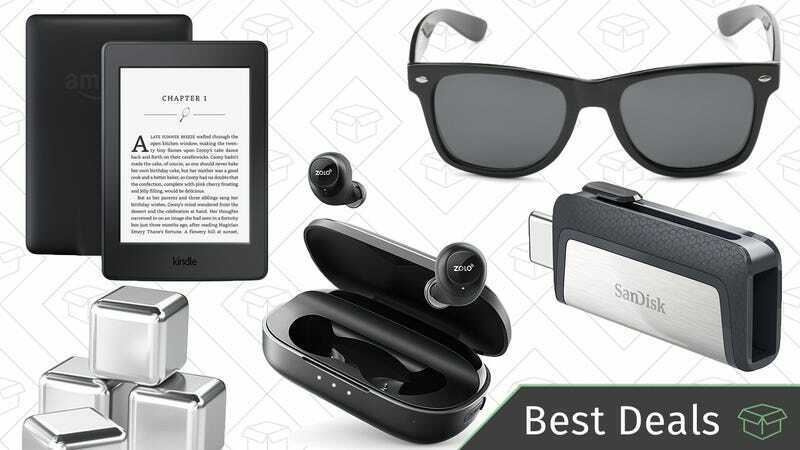 Discounted Kindles, BOGO sunglasses, and Anker’s truly wireless earbuds lead off Monday’s best deals from around the web. Before too long, it’ll be warm enough to spend a day at the park or beach reading a book, so if you want to get your hands on a new Kindle e-reader, both the entry level model and the Paperwhite are on sale today for $20 off. My advice: Get the Paperwhite. It’s not that much more expensive, and it’s worth it just for the backlight, not to mention the sharper, higher contrast screen. Anker’s new true wireless earbuds are solid entries into the burgeoning product category, and you can get a set for just $79 today with promo code ZOLOADS2. We recently put up our impressions of both the Zolo Liberty and Liberty+ earbuds (only the cheaper Liberties are on sale today, sorry), but the gist is that they’re solid, fitness-friendly options at a lower price point than most other competitors. While the Liberty+ has a few features you won’t find on the Liberties, I actually preferred the lighter charging case you get with the cheaper model. Apple and LG teamed up to create one of the only 5K monitors on the market, and amazingly, one that can be driven by a single USB-C cable, if you have a compatible Mac. It’s tough to swallow (but honestly, not outrageously priced) at its usual $1300, but it’s a lot more tempting for $620 as a refurb. DJI’s Mavic Pro quadcopter packs intelligent flight features and an amazing camera into an incredibly portable package, and you can get it for just $769 on Amazon today, easily the best price we’ve ever seen. Knock on wood, but SSD pricing seems like it might finally be recovering from a multi-year, worldwide NAND shortage. 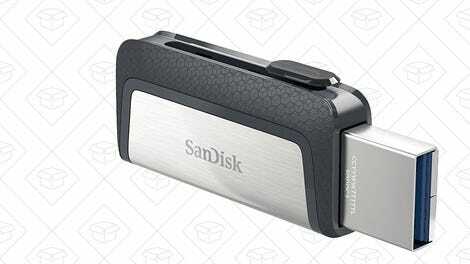 Upgrade your PC with a 250GB drive from SanDisk today for just $75, or go all out and get a terabyte for $230, both all-time low prices. If you want to power devices like TVs and mini-fridges while you’re out at a tailgate, your only real option until recently has been a noisy, gas-guzzling generator. But the proliferation of affordable lithium batteries and solar panels is threatening to change that, as evidenced by this Suaoki battery. This electric “generator” features a 444 KWh battery that can recharge a smartphone dozens of times, a laptop 3-6 times, a TV for several hours, and a lot more. If it draws less than 300W, you can plug it in here. When it comes time to recharge, you can charge it from any AC outlet, from your car’s power outlet, or go completely off the grid with solar panels (not included). It wouldn’t be ideal for weeklong camping trips or extended power outages at home, but it might be just enough power for a tailgate or barbecue, and you can save $92 right now with promo code 52J3KJGA. If a regular Wi-Fi router isn’t sufficient to cover your entire home, TP-Link’s Deco M5 mesh system is on sale for just $163 today, the best price we’ve seen. Rather than relying on a single base station to broadcast through your entire home, this system includes three routers that work together to form a mesh network that can fill up every nook and cranny of your home with sweet, sweet connectivity. Until such a time comes that AA batteries are banished from this Earth, it makes sense to invest in rechargeables. Get eight from AmazonBasics today for an all-time low $13. If you don’t mind waiting out a small backorder, this massive 400GB microSD card is down to an all-time low $185 on Amazon right now, beating last week’s deal by $5. That’ll hold a lot of Switch games, phone apps, and GoPro footage. Sony’s WH1000XM2s put the noise-canceling headphone world on notice when they were released last year, and now, you can get them for as low a price as we’ve seen. They’re still an investment at $298, but if you spend any significant amount of time in planes, trains, or just a noisy office, they’ll probably be the best thing you buy this year. It’s no secret that Anker makes your favorite charging gear, and their popular and compact PowerPort 2 is on sale for just $9 right now. While it doesn’t have Quick Charge built in, its two ports can pump out 2.4A of power simultaneously, which is enough to charge two iPads at full speed, and since it can accept 100-240V, it’s perfect for international travel. I’ve owned one of these for awhile, and it’s been great. HDTV bias lights are nothing new to our readers, but Luminoodle’s are some of the most highly-rated out there, and you can save on the white models today on Amazon. Right now, you can grab the medium size for $14 or the large for $15. If you aren’t familiar, these ease eyestrain when watching TV at night, improve your TV’s perceived contrast, and just look really cool. We’ve seen USB battery packs that can jump start a car, and we’ve seen USB battery packs that can charge MacBooks and Nintendo Switches, but this is the first we’ve found that can do both. The battery’s other neat trick is a set of detachable jumper cables that can start a dead car battery. It’s rated for 800A, which should be sufficient to start basically any regular car engine, up to 8L (or 6.5L if it’s a diesel vehicle). People never think they need one of these things until they really, really need one. Get it for an all-time low $72 today with promo code ABCD3366. Now that Apple’s jumped aboard the Qi train, we’re seeing a lot more charging pad deals than we used to. This model from RAVPower supports 10W fast charging for compatible Android phones, and is just $11 with promo code KINJA144. At that price, you can afford to put them all over your house. Putting aside the moral issues of giving teenagers one-click access to infinite, unregulated Tide Pods, this Dash Button is a really great deal. You just pay $2 for a Tide Dash Button, configure it to order your favorite detergent product, and you’ll get a $5 credit the first time you use it. That’s basically like a $3 discount on detergent. If your car is due for some new tires, you can save $100 on any $400 purchase from Discount Tire Direct’s eBay storefront today with promo code PMOTORS318. Admittedly, most sets of tires don’t cost $400, so you’ll likely need to bundle some wheels, or buy for two vehicles to take advantage. Break the cycle with Soylent, a nutritionally complete meal replacement shake that now comes in a variety of flavors (no, green is not one of them). Clip the coupon to save 25% on your favorite flavor, or a variety pack to try several. ExceptionalSheets’ plush fitted mattress pad is supposedly the same pad used in many Marriott and Omni hotels, and its 4.3 star review average from over 600 customers would seem to back that up. And unlike most mattress pads, these are stuffed with Revoloft synthetic fill, which should feel a lot like down, but without the associated allergies and poking feathers. Prices range from just $56-$78 today in Amazon’ Gold Box, depending on the size, but just note that these prices expire at the end of the day, so don’t sleep on it. While you’re at it, Amazon’s running a concurrent Gold Box deal on a queen sized alternative goose down comforter for just $22, a solid $7 less than usual. Smart outlet switches have become the atomic unit of smart home gadgetry, and you can get two Alexa-compatible switches (with energy monitoring!) for just $12 each today with promo code LM7465XV. Unless you have a fully furnished guest bedroom, an air mattress is just one of those things you should own, and this highly-rated Intex queen sized mattress is deeply discounted today on Amazon. It doesn’t feature the Never-Flat pump we’ve mentioned before, but it does include a built-in electric pump, which is one less thing to lose. This price is an all-time low, so don’t sleep on it. Update: One particular strand just dropped to $40, meaning our code will bring it down to $32! Just in time for spring, Amazon now makes its own outdoor string lights, and you can save 20% on the strand of your choice with promo code 20KINJA. Each strand is 48' long, weatherproof, and holds 15 incandescent bulbs. Your only real options are the color of the cord and the shape of the bulb - the code will work on both the default S14 bulbs and the globe-style G60s. Plus, the cords are rated for enough power to chain eight of them together into a 384' mega-strand that could light up your entire backyard. The E310 is Vitamix’s most affordable blender, but with a 2 HP motor, it’ll still pulverize just about anything you throw at it. It typically sells for $350, but Amazon’s chopped that down to $300 today. There are mixing bowls, and then there are mixing bowls. This set includes measurement lines engraved on the inside, silicone handles, and even lids. And at $29, it’s about $8 less than usual today. Amazon sells its own nuts now under its Happy Belly brand, and several different bags are about 30% off today. Options include various kinds of pecans, almonds, and peanuts, and most of them include two bags. GreenWorks’ 20-inch battery-powered lawn mower is actually Amazon’s top-selling walk-behind mower, and you can own one today for $284, about $35 less than usual. That includes two batteries, which combined, should get you over an hour of mowing time. It never hurts to have a spare extension cord in your garage, and this 50' model from AmazonBasics is down to $13, the best price in nearly a year. 20% off $25+ Orders | eBay | Promo code PSTARTEARLY. Full seller list here. For a limited time, Dyson’s eBay outlet is taking an extra 20% off any $25 order (maximum $50 discount) with promo code PSTARTEARLY, including vacuums, fans, and even hair dryers. They sell a lot of new stuff on eBay, but the best deals are on the refurbs. Either way, they’re sold directly by Dyson; this isn’t a sketchy third party situation. My favorite pick here would be the cordless Dyson V6 Absolute (refurbished) for $184. If you want a corded upright, the Dyson Cinetic doesn’t require a filter, and is a great option at $168. That same PSTARTEARLY code will work with a number of other (admittedly less exciting) sellers as well, including Klymit, KitchenAid, Worx, and more, so check out the full list on this page. It’s 2018, and your lighter doesn’t need fuel anymore; it just has to charge over USB. This discounted arc lighter isn’t really pocket-friendly, but its long, flexible neck makes it ideal for lighting candles, camp fires and other awkwardly-placed flammable things. Just charge the built-in battery, and you’ll be good to go for up to 1,000 uses before you have to plug it in again. Just use promo code Y8QPB32E to get it for $12 at checkout. Amazon makes their own puffer down jackets now, because of course they do, and the entire line is on sale today for 30% off. You should be able to find all of the options here, but you can choose from vests, jackets, hooded jackets, and even full-length coats. You also get to pick from a bunch of different colors of each item. Note: Shep ordered one of these late last year (the non-hooded men’s jacket), and it was very warm, but it did run a little big, so you might want to order a size down. If you have access to an iPhone, iPad, or Mac, you can save $5 on your next night out at the movies courtesy of Fandango. To get the deal, you’ll need to purchase two movie tickets, pay with Apple Pay, and use code STARPOWER at checkout. The $5 you save might just buy you a small popcorn. Obviously, go see Black Panther if you haven’t yet, but otherwise, this is a great excuse to go see Annihilation. Kindle Unlimited is basically Netflix for ebooks and audiobooks, and Amazon’s offering a very rare discount on the service today. You’ll get your first two months for just $1, after which you’ll be automatically billed the regular $10 per month, unless you cancel. If you love to read, this is a great chance to sample the service without fully committing. It’s a first world problem, but I hate waiting for my Xbox One controller to turn on and sync to the console just to pause a Netflix video. If that’s driving you crazy as well, this always-on media remote is only $15 today on Amazon, or about $5 less than usual. The best feature? 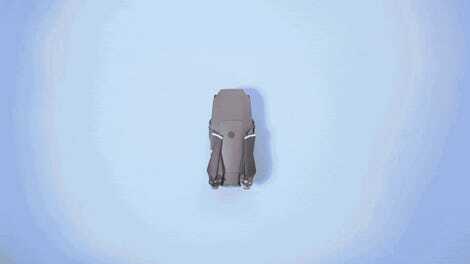 As soon as you pick it up, the buttons light up automatically. Super Mario Cereal hasn’t been easy to find, but Amazon has it in stock right now as an add-on item. The cereal itself is basically Mario-themed Lucky Charms, but the real reason to buy it is the amiibo built into the box. We’ve seen a few good deals on the base version of Horizon Zero Dawn, but today, Amazon’s offering the best deal yet on the complete edition, which includes the Frozen Wilds expansion pack, some in-game items, and a few other bonuses. Just note that this is a digital code, so make sure you have enough hard drive space.